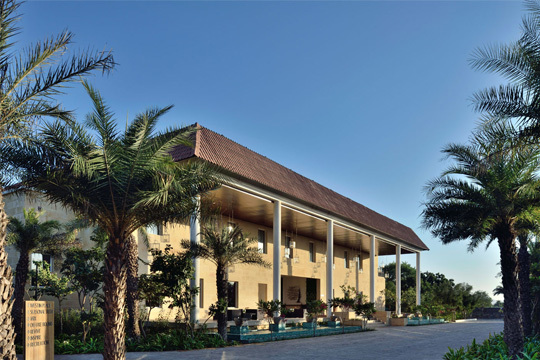 Dera Masuda is a design hotel resort for the discerning traveller looking for a sojourn in luxury. brings back the charm and splendour of the Raj Days with a touch of contemporary chic. The amazing architecture is based on the concept of 'Uniformity in Diversity ' and the furniture very 'swish'. 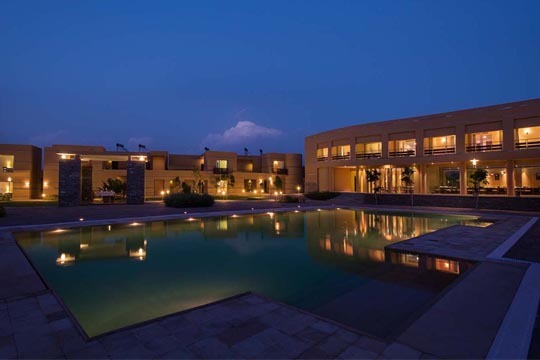 Situated in the foothills of the Aravali hills, it provides a 360 degree panoramic view of mountains, sand dunes, and lush green valleys covered with regional vegetation. Aaram Baagh has 63 rooms based on ancient civilisation such as Persian suites and Greek suites. Westin by Starwood Hotels has 98 spacious rooms. It is ideal for any inspiring event, from intimate business meetings and company retreats to extravagant gala functions and spectacular weddings. Spread over 15 acres of land with forty cottages divided into small clusters built around the undulating landscapes. It the lush green landscape and fruit orchards surrounding the property. 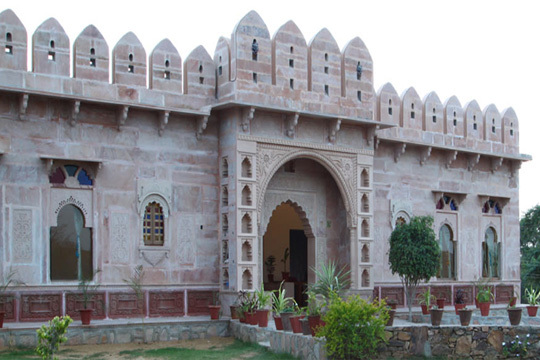 Spread over 5 Acers of land, it offers 4 Regal Rooms, 16 Royal Huts, 12 Deluxe Cottages & 8 Haveli Rooms. 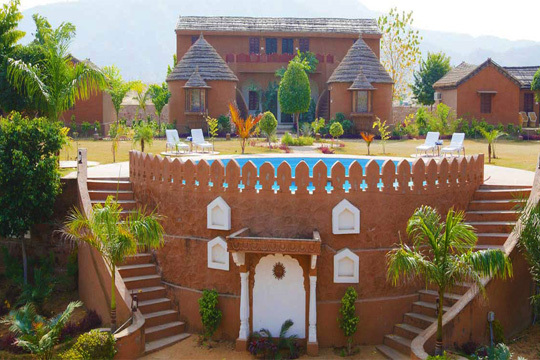 It is set in a huge garden and is a good combination of Rustic Fort & Rural village concept. Rooms have been furnished in the traditional Rajasthani style. 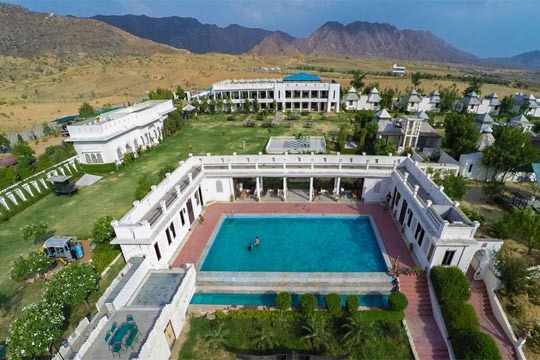 Slightly outside the town of Pushkar, this resort is a hidden gem – very quaint and pleasant, a green oasis in the desert – designed and built in the style of a heritage Mahal (mansion) against the backdrop of a desert landscape. 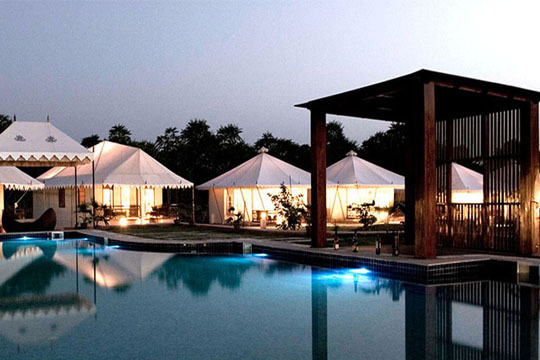 It is a luxurious boutique resort in the holy town of Pushkar. 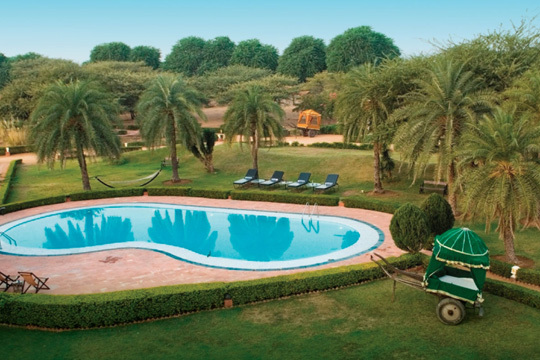 Located just ten minutes drive away from the city centre of Pushkar. It features 20 air-conditioned luxurious tents with 24 hour reception, each has its uniqueness and has all luxury amenities.